Ready or not, a trade war between the U.S. and China is underway. What was significant about these tariffs is that they are being applied worldwide. The tariffs are not aimed at China alone, but China is by far the largest source of solar panels shipped to the U.S., and China and South Korea are the largest sources of washing machines. So while Trump can claim that these tariffs are not specifically targeted at China, that is exactly what they are. This war has the potential to sink stock markets, shrink world trade and unravel the “synchronized growth” story that global elites have been pushing for the past year. Markets are not prepared for this, but you don’t have to be caught unaware. The time to prepare is now. 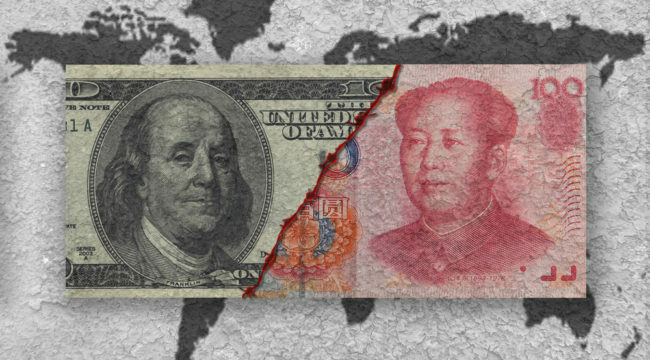 One of my majortheses is that in times of too much debt and too little growth, countries resort first to currency wars, then to trade wars and then finally to shooting wars to steal growth from trading partners and geopolitical rivals. The problem with currency wars is that all advantage is temporary and is quickly erased by retaliation. Not only is the world not better off, it is worse off because of the costs and uncertainty resulting from the currency manipulations. Eventually, the world wakes up to this reality and moves to the trade war stage. The U.S. just posted its largest-ever annual bilateral trade deficit with China. Trump has been eager to confront China on its trade practices but has been constrained by a desire to seek Chinese cooperation on the North Korean weapons development issue. Chinese cooperation on North Korea has been mostly lip service. Nothing China has done has had any impact on North Korea’s pursuit of intercontinental ballistic missiles and hydrogen bombs that together can end civilization in the U.S.
Trump is now prepared to go it alone against North Korea with military force if needed. This gives him a free hand to confront China on trade. There’s a big difference between confronting China today versus confronting, say, Japan in the 1980s. China has much more leverage than Japan ever had. China is also in a more adversarial posture toward the U.S. than Japan was. These realties mean that China will not acquiesce but will retaliate for any actions taken by the U.S.
Markets are not prepared for this, but you can be. Now is a good time to take gains in stocks, increase your cash allocation to reduce volatility and increase your exposure to gold as a safe haven. Let’s pray the shooting wars are not hot on the heels of this coming trade war.